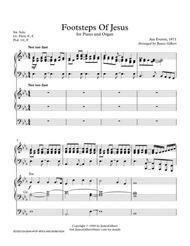 An arrangement of this all-time favorite hymn for Piano and Organ duet. Hymn tune: NEW BRITAIN. Arrangements of this tune are also available for Brass or Handchimes. 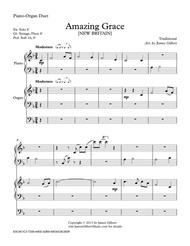 An organ hymn accompaniment of this tune is also available in the catalog. An arrangement of this gospel hymn for Organ-Piano duet. Settings for Orchestra and Piano Duet are available in the catalog.